Jharkhand is India's Tribal State. The Indian state of Jharkhand is located in eastern India. It’s bordered by Bihar to its north, Utter Pradesh and Chhattisgarh to its west, Orissa to its south, and West Bengal to its east. The state was originally part of Bihar, but became an individual state on November 15, 2000. The state’s name means “the land of forests” and its land area is about 49,821 square miles, and much of it is covered in trees! The capital goes by the name Ranchi and the population here is roughly 33 million. The state is a tribal one, meaning that it was dominated and controlled by indigenous tribal folk. It was controlled by tribes until 1765, when it fell under British control. People here did not like being colonized by the British and launched countless revolts against them between 1771 and 1900 AD.In the end, passive aggressive and political methods were used to rid the state of the British. In 1914, a local man named Jatra Oraon started a movement for independence which later grew in strength and joined Gandhi's movement for independence and equality. Once the state was free from Britain, the region was a part of Bihar. Numerous movements emerged for state recognition and its requests were finally answered on November 15, 2000, roughly 50 years later after India gained independence. The diverse indigenous tribes and immigrated people here make up a vibrant and colorful culture. Many festivals are celebrated and people speak an assortment of languages here. The diverse culture here today includes a wide array of musical styles and traditional art forms. There are a lot of great things to see here. Large national parks here are famous and there is a unique Zoological Park as well. A park called the Betla National Park is more than 97 square miles in size and showcases a lot of different wildlife, like tigers, elephants, bisons, wild pigs, large snakes, deer, rabbits, foxes, honey badgers and much more! Additional parks full of wildlife include The Hazaribag Wildlife Sanctuary, and the Jawaharlal Nehru Zoological Garden. 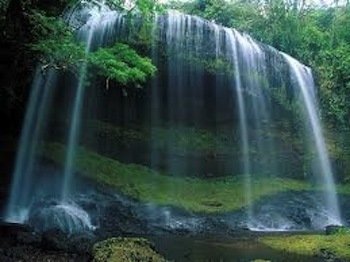 The state has a hilly terrain, green forests, and rocky plateaus with gorgeous waterfalls. Most of state’s water comes waterways that run through this region. The most drastic cultural change that has occurred here is in the population’s demographics. Hundreds of years ago, nearly the entire population was tribal, but now, there are millions of people here that immigrated, or whose family immigrated to the state. There is an interesting religion practiced in Jharkhand called Sarna. Sarna is an animistic religion and is its followers believe in a powerful spirit called the Sing Bonga. They believe various spirits live in the world around them. The Hindus in Jharkhand believe Sarna is a branch of Hinduism, which offends the followers of Sarna. Hinduism is the religion most followed in Jharkhand, but the religions of Islam, Christianity, Sikhism,Jainism and Buddhism are practiced here too. Hindi is the primary language spoken here, but a variety of tribal and other languages are spoken, such as Santhali, Mundari, Bengali, Kurmali and more. When it comes to sports, cricket, hockey and football are all popular here. Unlike much of India, the Jharkhandis eat very plain food and rarely use spices. Rice is commonly eaten with meals here and a famous dish served here is called kera-dudhauri Dhuska. It is a dish made of milk, rice, butter and a sweetener. Many people eat food called Charpa here, which is prepared by frying mashed rice mixed with spicy vegetables. Dried mushrooms are stored and eaten and even some flowers are used as vegetables. Flowers for dinner anyone? Also unlike much of India, alcohol is enjoyed here! People drink rice beer. The the head of the state government is a Governor, who is appointed by the President of India, but the Chief Minister holds the most executive power in Jharkhand. The state's gross domestic product is roughly $17 billion per year, but the economy is likely to grow because the state is often mined for its rich minerals. In addition fertalizer, iron, steel, explosives and gas are all produced here. The state has a several engineering colleges, like the Indian School of Mines University, Dhanbad, National Institute of Technology, Jamshedpur, Birla Institute of Technology and more.There are three medical schools in Jharkhand called M.G.M Medical College, Rajendra Institute of Medical Sciences and Patliputra Medical College And Hospital. Leave from Jharkhand to discover other states of India. Visit our homepage to continue exploring India, its history and its culture.